As any small business owner knows, maintaining a high level of visibility is the highest level of importance. If your customers don't know where you find you, then they can't buy your goods or services. Allow your place of business to be seen from virtually any distance with the right sign lighting. Although backlit lights get the job done, they can be price prohibitive for small businesses, and not all areas appreciates their brazen and "loud" appearance. These lights wrap around your sign directly, allowing it to be illuminated effectively without being too over the top. Combine with additional lights for larger signs, or maintain one sleek fixture for smaller ones. Our gooseneck lights are designed to hold up against outdoor conditions. They won't rust or corrode in wet areas, and fading isn't an issue when placed in direct sunlight. This is all due to the durable aluminum construction combined with the power coated finish, which is baked directly into the metal to prevent weather related issues with ease. Don't see quite what you want here? 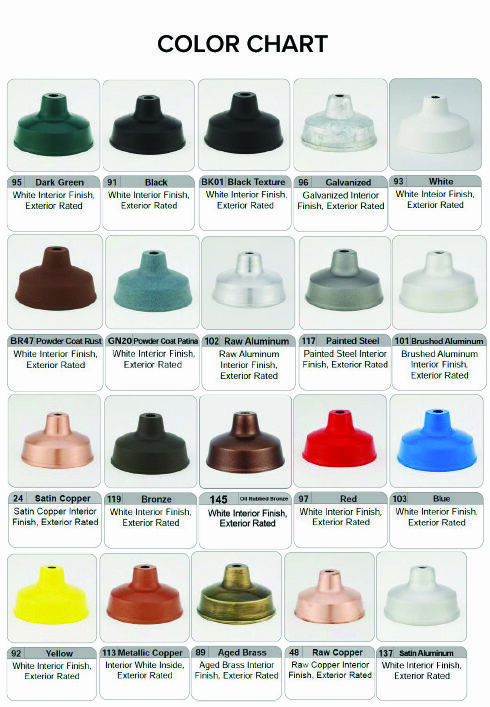 Choose from a wide assortment of color options, arm bending configurations, as well as shade designs and accessories. You can create just the look you're going for.